Ancestry.com is celebrating Labor Day ('bank' holiday Monday 2 September) by allowing free access to all its immigration records. Within the collection are passenger lists, citizenship and naturalisation petitions, border crossings and passport records and various other record sets such as those from the NY Irish Emigrant Savings Bank. The collection includes records relating to Canada and Australia, as well as the USA. The offer will expire at midnight Eastern US Time on Monday 2 September (05:00hrs Tuesday 3 September in Dublin). Nearly 400 headstone inscriptions from Kilraghtis Graveyard (Barefield, Ennis, Co Clare) have been transcribed and published on the Clare Library website (here) with free access. The transcriptions are the work of Edel Greene and Mary Kearns. There is also a good write up of the history of the graveyard available, along with a map of the plots and a link to the burial ground's location on Clare Library's excellent GMaps resource. 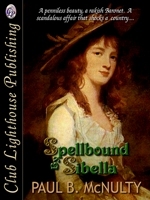 Another of Flyleaf Press's 'Small Sources' research discoveries has been revealed on the publisher's blog. This latest one is a list of labourers and payments made to them from the Spring-Rice Estate, Mount Trenchard, Limerick (the Shanagolden area). It dates from 1808. Monday 26 August: The Dublin Lockout exhibition at the National Library of Ireland is now on display until March next year. It's free. Venue: 2 Kildare Street, Dublin 2. Tuesday 27 August: Key sources for family history at the Public Record Office of Northern Ireland (PRONI), with Glynn Kelso, PRONI. Venue: Seminar Room, National Library of Ireland, Kildare Street, Dublin 2. 1pm. Free. No booking necessary. Tuesday 27 August: The Book of Kells’ illuminations, a talk with Dr. Rosemary Power. Venue: Kilfinaghty Public Library, Sixmilebridge, Co Clare. 6:00pm. Free. Wednesday 28 August: Opening up the nation's newspaper archives, with Phillip Martin of Irish Newspaper Archives. Venue: Seminar Room, National Library of Ireland, Kildare Street, Dublin 2. 1pm. Free. No booking necessary. Thursday 29 August: The 1913 Lockout, with Mario Corrigan. Venue: Leixlip Library, Leixlip, Co. Kildare. Booking required: Email or telephone +353 (0)1 606 0050. Free. 7pm. Thursday 29 August: Audio and Family History as Sources for Genealogy, with Derek Neilson, Genealogist. Venue: Seminar Room, National Library of Ireland, Kildare Street, Dublin 2. 1pm. Free. No booking necessary. Thursday 29 August: Unionist Volunteers, with Dr Timothy Bowman. First in the Volunteering in Ireland 1912–1916 lecture series at PRONI, Titanic Boulevard, Belfast. 6:30pm. Free, but booking required. 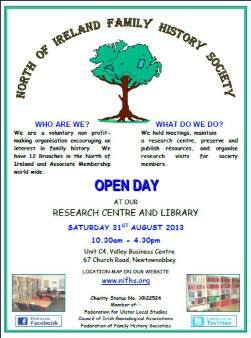 Saturday 31 August: North of Ireland Family History Soceity Open Day. Explore the Research Centre and Library. Browse the book sale. Venue: Unit 4, Valley Business Centre, 67 Church Road, Newtownabbey, Co Antrim. All free (including parking). 10:30am–4:30pm. Details. Saturday 31 August: The Famine: a series of unfortunate events or genocide? A HistoryIreland Hedge School with Meredith Meagher, Conor McNamara, John Waters, Peter Gray. Electric Picnic, Stradbally, Co. Laois. 2:45pm. Saturday 31 August: Kerry Genealogy Roadshow at the Gangs of New York Gathering, Kenmare, Co Kerry. Details. Sunday 1 September: JFK in Ireland: style or substance? A HistoryIreland Hedge School with Michael Kennedy, Donal Fallon, Carole Holohan, Brian Hanley. Electric Picnic, Stradbally, Co. Laois. 2:45pm. The National Archives of Ireland, on behalf of the Valuation Office and in conjunction with the Heritage Council, is offering an internship in paper conservation to a graduate in paper or archives conservation who graduated in 2012/2013. The internship is intended to give valuable practical experience of work with archival collections, in this case a large collection of mid-19th century maps. The intern will assist an experienced conservator in work on the maps of the Valuation Office which are held in the National Archives. The maps comprise a large and unique collection of approximately 10,500 items which need cleaning, consolidation and flattening in preparation for use by researchers. Closing date is 30 August and the internship will start on 23 September. It's a full time post, at the National Archives premises. Heritage Week kicks off tomorrow with 1700 events taking place. The genealogy events list below is by no means exhaustive, merely a taster of talks and workshops advised to me directly or that I've picked up on along the way. So if this list gets you tickled up, pop over to the Heritage Week website for more. Just use genealogy and family history as your keywords. Don't delay in making your bookings. I've found that many of the events are fully booked already. Saturday 17 August: Dancing by the sea: the rise & and fall of the showband scene. A HistoryIreland Hedge School with Pascal Mooney, Marc Geagan, Gerry Gallagher and Charlie McGettigan. Venue: Heritage Festival, Kitchen Bake (old Methodist church, Bundoran, Co Donegal. 6:30pm. Saturday 17 August: Genealogy Roadshow. Central Library, Oliver Plunkett Road, Letterkenny, Co Donegal. Free. Saturday 17 August: Genealogy Day at Skibbereen Heritage Centre. 2–5pm. Appointments with experienced genealogists. Booking essential, on +353 (0)28 40900. Saturday 17 August: How to research your West Cork ancestry, with William Casey. 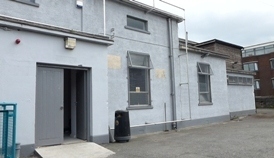 Skibbereen Heritage Centre. 8:30pm. Free. Booking essential, on +353 (0)28 40900. Saturday 17 August to Sunday 25 August: Family history open days at Genealogical Society of Ireland's Research Centre, Carlisle Pier, Dun Laoghaire. Tel: 087 248 6878. Sunday 18 August: The Squad and the Intelligence Operations of Michael Collins, with Thomas Ryle Dwyer. The 3rd Collins Griffith Lecture. 2:30pm. Prospect Gallery, Glasnevin Cemetery Museum, Co Dublin. Tickets cost €10. Booking recommended. Email or tel 353 (0)1 882 6550. Sunday 18 August: Guided tour of Clare Heritage Centre, Church Street, Corofin, Co Clare. 2:00–3:00pm. Free. Booking essential. Tel: 353 (0)65 683 7955. Also on Wednesday 21 August and Friday 25 August. Monday 19 August to Friday 23 August: Registry of Deeds guided tours. One hour long tours at 11am and 2:30pm each day. Henrietta Street, Dublin. Free. Booking essential. Email or tel@: 353 (0)1 871 6518. Monday 19 August: Aspects of surnames in Irish placenames, with Conchubhar Ó Crualaoich, An Brainse Logainmneacha. Venue: Seminar Room, National Library of Ireland, Kildare Street, Dublin 2. 1pm. Free. No booking necessary. Monday 19 August: Introduction to genealogy, with Susan Chadwick MAPGI. Venue: Clara Library Library, Ballycumber Road, Clara, Co Offaly. Free. 4:00–5:00pm. Details: 353 (0)57 933 1389. Monday 19 August to Friday 23 August: One-to-one ancestry search. Cork County Library, Carrigrohane Road, Cork. 11:30–12:45 and 3:00–4:15. Tel: 353 (0)21 428 5640. Free. Booking essential. Monday 19 August: Starting your family history search. Inchicore Library, 34 Emmet Road, Dublin 8. Time: 6:30–7:30pm. Free. Booking advised. Tel: 353 (0)1 453 3793. Monday 19 August: Genealogy at the Guinness Archive, with Sarah Poutch. Free, includes pass to the Storehouse. St James Gate, Dublin 8. 1pm–2pm. Email. Tuesday 20 August: Roman Catholic parish registers: a vital 19th century source, with Máire MacConghail, MAPGI. Venue: Seminar Room, National Library of Ireland, Kildare Street, Dublin 2. 1pm. Free. No booking necessary. Tuesday 20 August: Famine emigration from Cork 1845-55, with Dr Marita Foster. Skibbereen Union Conference Room. 8:30pm. Free. Booking essential, on +353 (0)28 40900. Tuesday 20 August: Ballyfin: The restoration of an Irish house and demesne. Part of the A Celebration of Architecture: the Big Houses of Laois series of lectures. Venue: Portlaoise Library. Time: 8pm. Cost: Free. Details: 00 353 (0)57 8622333. Tuesday 20 August: Introduction to genealogy, with Susan Chadwick MAPGI. Venue: Tullamore Library, O'Connor Square, Tullamore, Co Offaly. Free. 18:30–19:30. Details: 353 (0)57 934 6832. Tuesday 20 August: Social conditions in Dublin prior to the Lockout, with Catriona Crowe. 7:00pm. Free. The County Library, Tallaght, Co Dublin. All welcome. Tuesday 20 August: Gunslingers, Tarantulas, Elvis & Walt – a global history of the Irish abroad, with Turtle Bunbury. Graiguenamanagh Library, Convent Road, Graiguenamanagh, Co Carlow. 7pm. Free. Wednesday 21 August: Genealogy WDYTYA at Longford County Library, First floor. 2:00–5:00pm. Free. Tel: 353 (0)43 334 0731. 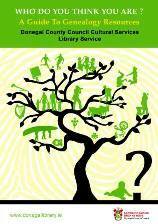 Wednesday 21 August: Genealogy Clinic, with Susan Chadwick MAPGI. 15-minute sessions to help you start your research. Booking essential. Tullamore Library, O'Connor Square, Tullamore, Co Offaly. Free. 10:00–1:00. Booking essential: 353 (0)57 934 6832. Wednesday 21 August: The Transportation of Women from Kildare to Van Dieman’s Land in 1849, with Catherine Fleming. Venue: Leixlip Library, Leixlip, Co. Kildare. Booking required: Email or telephone +353 (0)1 606 0050. Free. 7pm. Wednesday 21 August: Homes for Heroes - Irish Sailors and Soldiers Land Trust, with Margaret Bonar & Elizabeth Craven. Venue: Seminar Room, National Library of Ireland, Kildare Street, Dublin 2. 1pm. Free. No booking necessary. Wednesday 21 August: Family history resources, with Bríd Higgins and Gráinne Melia. Host: Galway Familly History Society West. Venue: St Joseph's Community Centre, Ashe Road, Shantalla, Galway. Email. 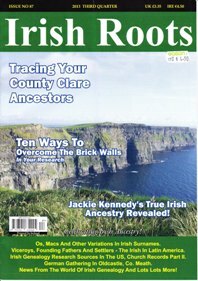 Wednesday 21 August: Start your family history, with Clare Roots Society. Venue: De Valera Library, Harmony Row, Ennis, Co Clare. Free. 2:30–4:00pm. Free. Tel: 353 (0)65 684 6353. Wednesday 21 August: Irish land and estate records, with Cynthia O'Connor. Venue: Anglers' Rest Hotel, Headford, Galway. 7:30&ndash;8:30. Free. Tel: 353 (0)91 842013. Wednesday 21 August: Irish family history beginners' day, at Dublin City Library & Archive, Pearse Street, Dublin 2. Free advice from Eneclann and demonstrations of FindMyPast database. 11am–4pm. Lectures: 12noon: Finding the Irish Diaspora: Searching findmypast's World Collection, with Aoife O Connor; 1pm and 3pm: The A B C of researching Irish family history, with Fiona Fitzsimons; 2pm: Landlords & Tenants: Land and Estate records for Irish family history research, with Brian Donovan. Wednesday 21 August: Sources for family history research, with Mary Jackson. Lucan Library, Superquinn shopping centre, Co Dublin. 7:00–8:00pm. Free. Booking. Thursday 22 August: New genealogical resources from the National Archives, with Catriona Crowe, National Archives of Ireland. Venue: Seminar Room, National Library of Ireland, Kildare Street, Dublin 2. 1pm. Free. No booking necessary. Thursday 22 August: Genealogy Workshop for beginners, with Sinead Holland. Portlaoise Library, Lyster Square. Free. 8pm–9pm. Tel@ 353 (0)57 862333. Thursday 22 August: Starting your family history search, with Dr Máire Kennedy. Ballyfermot Library, Dublin 10. Booking advised by telephone 353 (0)1 626 9324. Thursday 22 August: How to research your military history: Genealogy during the Jacobite and Williamite wars. Talk by staff from the Battle of the Boyne Centre. Venue: Tallaght Library, Dublin 24. Free. 7:00–8pm. Booking by tel 353 (0)1 462 0073. 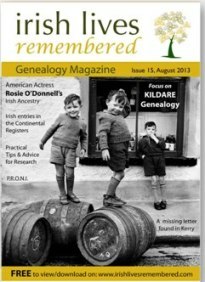 Thursday 22 August: A presentation on genealogy, with Nora O'Meara. North Tipperary Genealogy Centre, The Governor's House, Kickham Street, Nenagh. 6:45–7:30. Free. Email. Thursday 22 August: Diploma in Genealogy: Open Evening, with Dr David Butler of the Irish Ancestry Research Centre. Venue: Masonic Hall, Tuckey Street, Cork City. 8pm. All welcome. Thursday 22 August: The fourteen merchant 'Tribes', with Peadar O’Dowd. National Monuments Service Lecture Series for The Gathering Druid Lane Theatre, Druid Lane, Galway. 7.30pm. Friday 23 August: Dating Irish family photographs, with Orla Fitzpatrick, Historian & Blogger. Venue: Seminar Room, National Library of Ireland, Kildare Street, Dublin 2. 1pm. Free. No booking necessary. Friday 23 August: Irish land and estate records, with Cynthia O'Connor. Venue: Loughrea Hotel & Spa, Loughrea, Galway. 7:00–8:30. Free. Tel: 353 (0)91 842013. Friday 23 August: The American Humanitarian Response to the Great Famine in Ireland, with Dr Larry Geary. Skibbereen Union Conference Room. 8:30pm. Free. Booking essential, on +353 (0)28 40900. Saturday 24 August: Looking at the Lockout, a HistoryIreland Hedge School, with Padraig Yeates, Eamon McCann, Brian Hanley and Ann Matthews. 1913 Centenary Weekend, Assembly Room, Rathdown County Hall, Dún Laoghaire, Co Dublin. 2pm. Saturday 24 August: Using newspapers to trace your family history. Central Library, Lady Lane, Waterford City. 3:00–4:00pm. Free. Tel: 353 (0)51 849975. Saturday 24 August: To hell or to Kimmage: planning outcomes of the 1913 Church Street disaster, a HistoryIreland Hedge School. With John Gibney (chair) Ellen Rowley, Donal Fallon and Gary Granville. National Museum of Ireland, Collins Barracks, Dublin. 2:30pm. Tuesday 13 August: The construction of Dublin Castle, 1204-29, with Con Manning. Part of the Milestones of Medieval Dublin series of lunchtime lectures. 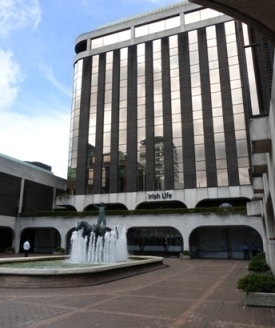 1:05 pm – 1:45 pm Wood Quay venue of Dublin City Council. Free. Tuesday 13 August: Irish records: what’s online? with John Grenham. Venue: Seminar Room, National Library of Ireland, Kildare Street, Dublin 2. 1pm. Free. No booking necessary. Tuesday 13 August: Tipperary and the American civil war, with Damien Shiels. Cashel Library, Co Tipperary. Free. 7:15pm. Tuesday 13 August: Emo Court, with Kevin Flanagan. Part of the A Celebration of Architecture: the Big Houses of Laois series of lectures. Venue: Portlaoise Library. Time: 8pm. Cost: Free. Details: 00 353 (0)57 8622333. Tuesday 13 August: Irish and British maritime records, with David Snook. Genealogial Society of Ireland lecture held at Dún Laoghaire College of FE, Cumberland Street, Dun Laoghaire, Co Dublin. 8pm. €3. Tuesday 13 August: Launch of Breaking and Laveing the Countery, an exhibition exploring some aspects of County Cavan’s emigration story will be launched at Johnston Central Library, Farnham St, Cavan at 8pm. The exhibition will cover 19th-century emigration and will focus on the numbers leaving the county, parish origins, various destinations abroad and the system of chain emigration. It will include some emigrant stories, and will illustrate in graphic detail the personal story of the emigrant, whose life away from home the mass of statistical material fails to illuminate. The exhibition runs to 14th September and admission is free. Details. 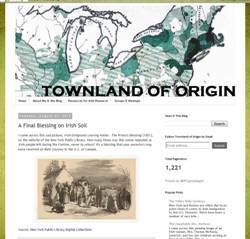 Wednesday 15 August: Irish in the Civil War exhibition opens at The Irish American Heritage Museum at 11:00am in the historic Meginniss Building, 370 Broadway, Albany, New York. USA. Wednesdays–Fridays 11am–4pm; Saturdays and Sundays, 12noon–4pm. Until Sunday 30 September. Details. Family History Society. Venue: Newry Library, 79 Hill Street, Newry, Co Down BT34 1DG. 12:30pm. Free. Booking advised. For more details, tel: 028 3026 4683. Thursday 15 August: Irish Newspaper Archives – Opening up the Nation’s Newspaper Archives, with Phillip Martin, Irish Newspaper Archives. Venue: Seminar Room, National Library of Ireland, Kildare Street, Dublin 2. 1pm. Free. No booking necessary. Friday 16 August: Family History Open Day at Dublin City Library & Archive, Pearse Street, Dublin 2. Free advice from genealogy societies, consultations with professional genealogists, and online searches on major databases, plus a chance to explore DCL&A's rich family history collection. 10am–4:30pm. Free. 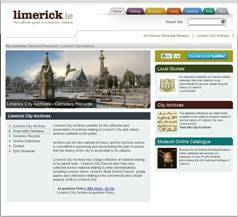 More info: www.dublincitypubliclibraries.ie. Tel: 00 353 (0)1-6744870 or (0)1-6744800. Sunday 18 August: The Squad and the Intelligence Operations of Michael Collins, with Thomas Ryle Dwyer. The 3rd Collins Griffith Lecture will be held at 2.30pm in the Prospect Gallery, Glasnevin Cemetery Museum, Co Dublin. Tickets cost €10. Booking recommended. Email or tel 353 (0)1 882 6550. PRONI will be hosting another Exploring Family History lecture series from October. The acclaimed series, which is run in conjunction with the Open University, will see Dr Janice Holmes and Dr Barry Sheehan examining the working lives of families in the past, with examples from PRONI's collections. Lectures will be held at PRONI, Titanic Boulevard, Belfast, 6:30pm-8:00pm. Admission is FREE but you need to book by email. The Public Record Office of Northern Ireland is to host a series of lectures by Dr Timothy Bowman examining the various volunteer organisations which emerged in Ireland in the run up to the First World War. The lectures will look at volunteering by Unionists and Nationalists as well as civic and labour volunteers and the role of women in volunteer organisations. Although the events are free of charge, places are limited so you will need to book your seat. Email or tel +44 028 90 534800. Ancestry has added a new collection of records from London's Clandestine Marriage and Baptism Registers, 1667-1754. It's a sizeable oollection, holding 894,892 entries, and it's both searchable and browseable. If you follow the link above, you'll find an explanation on of the term 'clandestine' in this context, and you can be sure there's a good number of Irish within the collection. Moving swiftly forward a century or two, don't forget that Ancestry is currently offering free access to the 1911 Census for England and Wales. You have to register with name and email, but there's no requirement to provide credit card details. Until Sunday 11 August: Exhibition: Charles Dickens – Irish Friends and Family Ties. Features records from PRONI's archives, material from the Charles Dickens Museum and elsewhere. Part of the West Belfast Festival. Conway Mill Preservation Trust, Belfast. Free entry. Email for details. Tuesday 6 August: Gathering Church of Ireland records, with Susan Hood, RCBL. Venue: Seminar Room, National Library of Ireland, Kildare Street, Dublin 2. 1pm. Free. No booking necessary. Tuesday 6 August: Abbey Leix – Spanning four centuries. 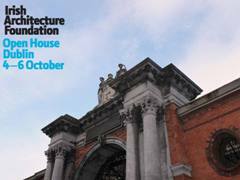 Part of the A Celebration of Architecture: the Big Houses of Laois series of lectures. Venue: Portlaoise Library. Time: 8pm. Cost: Free. Details: 00 353 (0)57 8622333. Tuesday 6 August: The Gothic Cathedral of Cashel: the untold story, with Prof Roger Stalley. Cashel Library, Co Tipperary. 7:15pm. Free. Wednesday 7 August: Religion in the Asylum: lunatic asylum chapels and religious provision in nineteenth century Ireland, with Katherine Fennelly. Irish World Heritage Centre, Manchester UK. 7:30pm. £3. Details. Thursday 8 August: The Roscommon Famine Diaspora, with Ciaran Reilly, NUI Maynooth. Venue: Seminar Room, National Library of Ireland, Kildare Street, Dublin 2. 1pm. Free. No booking necessary. Friday 9 August: The Auxilliaries: Tudor's Toughs, a study of the Auxiliary Division Royal Irish Constabulary 1920–1922, with Ernest McCall. Venue: Performance Area, Linen Hall Library, Belfast. Free. 1pm. Coincides with a Linen Hall Library exhibition of materials charting the history of policing and fire fighting in Northern Ireland (part of the World Police & Fire Games 2013 programme). Exhibition runs until 10 August. Friday 9 August: Family History Open Day at Dublin City Library & Archive, Pearse Street, Dublin 2. Advice from genealogy societies, consultations with APGI-accredited professional genealogists, online searches on major databases, plus a chance to explore DCL&A's rich family history collection. 10am–4:30pm. All free. More info: www.dublincitypubliclibraries.ie. Tel: 00 353 (0)1-6744870 or (0)1-6744800. Saturday 10 August: Mayo Genealogy Group AGM Venue: National Museum of Country Life, Turlough Park, Castlebar, Co Mayo. 11am. Reports of the past year's activities will be presented and the programme for the coming season will be launched. All interested in local genealogy are invited to attend. Details. The National Archives of Ireland is to close access to some of its collections while building works continues at its Four Courts storage area. The temporary closure will run from 12 August to 31 October 2013. FindMyPast Ireland has added Ireland's National Roll of Honour 1914-1921 to its database. These records give details of Irishmen who died while serving in the British Army during the First World War, and in the three years after peace was declared. Transcripts has been taken from all known available resources for Irish casualties published before 1922, including Soldiers Died in the Great War and Ireland's Memorial Records, and the records of The Commonwealth War Graves Commission. Newspaper articles, periodicals and other books were also used to collate the information. The material has been cross-referenced with the 1901 and 1911 Irish censuses to provide a more precise list of Irish war victims for the period than has been previously available to family historians. This collection is now also available as part of a World Subscription via FindMyPast USA and FindMyPast Australia/NZ. It will be added to FindMyPast UK's World Subscription in due course. The British Newspaper Archive (BNA) is offering UK-based readers of Irish Genealogy News a healthy discount on its 12-month subscription package if they sign up during August. 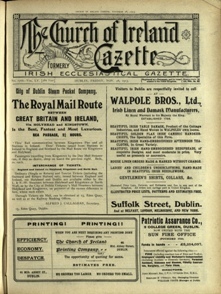 Dublin Evening Mail: A total of 4,138 editions are now available. The years included are 1849–1852, 1854–1855, 1861-70, and the second half of 1871. Belfast Newsletter: A total of 16,657 editions now available, for the following years: 1857*, 1859–1871, and January 1879 to April 1882. Freeman's Journal: A total of 21,236 editions now available. Coverage is in three tranches: 1820–1821, 1830–1833, and 1837–1900. Belfast Morning News: A total of 4,089 editions now available. The years included are 1857*, 1859-1871, 1879-1881 and the first four months of 1882. Sligo Champion: A total of 276 editions of the weekly paper now available. Coverage is from June 1836 to December 1838, 1852*, 1923 and 1926. 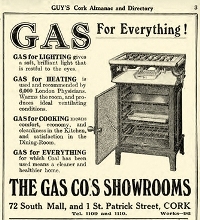 Cork Examiner: A total of 6453 editions are now available. They start in August 1841 and run through to August 1871. There's also July to December 1896. The Representative Church Body Library has released in a searchable online format all 52 issues of the Church of Ireland Gazette published in 1913. The collection makes up August's Archive of the Month and full details can be found here. You'll then be directed to the Informa website where you can view the pages, which have been digitised to a very high quality. You can also save and print pages quickly and easily. The Church of Ireland Gazette covered a vast range of topics and for anyone with ancestors who were connected with the Church, it is essential reading. But don't think it holds no interest beyond that group. As well as providing comment about national events, the Gazette published details of funerals, obituaries, school, church and community activities and received loads of advertising from service and goods providers.